Blackrock Clinic is committed to providing the best possible care to our patients. Our mission statement is “Clinical Excellence – Personal Care”. We are continually looking at ways to improve and we use a wide range of metrics to measure our performance and to identify areas where we could do better. 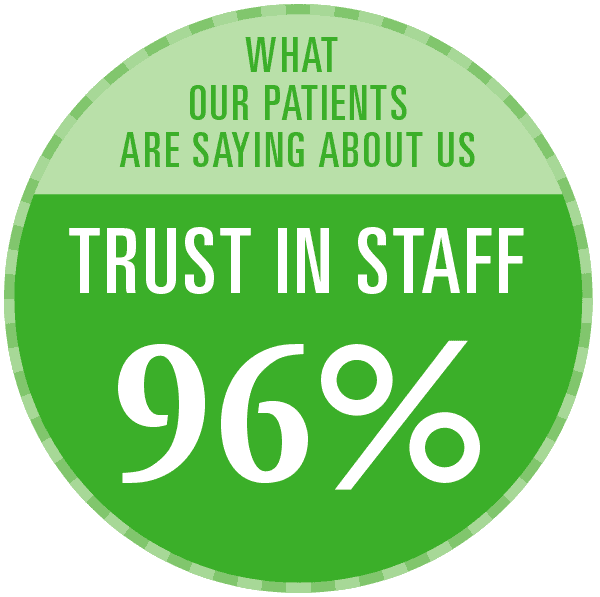 One of the more important tools we use is our Patient Satisfaction Survey. The hospital’s quality department sends survey invitations to almost 13,000 patients each year and receives feedback from over 5,000 patients who rate their experience on a wide range of questions. Our Patient Satisfaction Survey has been independently complied for the hospital by Cemplicity who also manage similar surveys for the Vhi and the HSE. The questions we ask have also been independently validated by Picker International, who are a not-for-profit organisation dedicated to improving patient experience and clinical outcomes. All of this ensures that we receive honest feedback from the patients we care for and importantly, the survey is anonymous so that data gathered does not impinge upon patient privacy rights. The questions we ask enable us to form a comprehensive view of our patients’ journey through the hospital from admission through to discharge. We break the journey down into departments and events, enabling us to map the exact point the responses refer to thereby precisely identifying areas of weakness. Outcomes are then analysed and are often used to implement changes to the way we deliver our services. We present the survey online, as this has proved to be the most efficient way of communicating our results to both our patients and ourselves. It gives real time score updates, meaning that the information we get remains current. This allows us to act without delay should a performance score change in any of the specified areas. It is also a future proofed solution. All feedback is considered positive – a poor score gives us an opportunity to assess that service objectively. When this happens, we can challenge and amend our procedures. Equally, it is essential to acknowledge the high scores, when our efforts towards excellence are achieved and everyone’s expectations are met or exceeded. I am pleased to highlight the results of six areas of importance to the hospital in the graph below. These are the average ratings we have received from patient responses over the last twelve months. 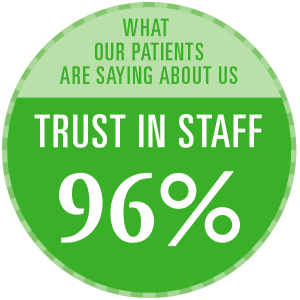 I am delighted to say that we are receiving consistently high scores in each of the areas we are focused on and this is testament to the hard work and dedication of the staff and consultants who work tirelessly at Blackrock Clinic to provide the best possible healthcare that they can.